Kiwi Cups… just little container thingys really, but I like the sound of Kiwi Cups. Named so as I made them up on our recent roadtrip around the North Island of New Zealand… and I thought they looked a bit like kiwi fruit colours… before I added the grey one. I’m using them for business card holders, pens, froggy buttons, crochet hooks and I’ve just started using one to pop all those endy bits of yarn you snip off whilst crocheting. 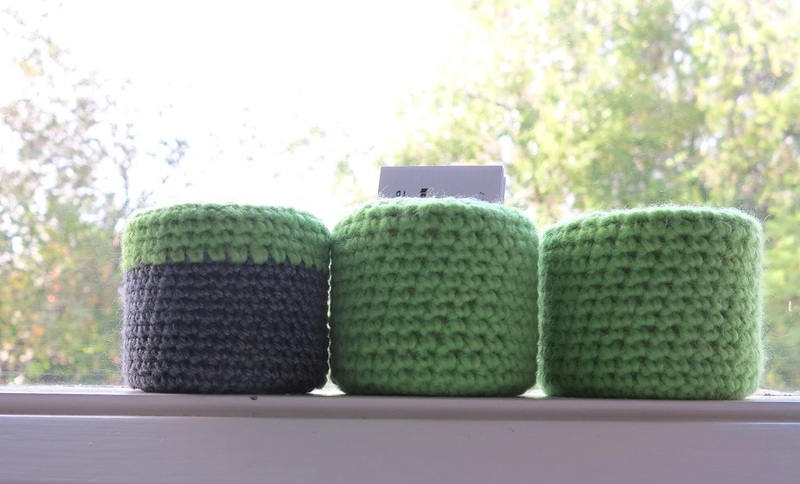 I often just have a big ol stack of them on the coffee table, but now they will look neat and organised tucked away in my Kiwi Cups… for a little while at least! 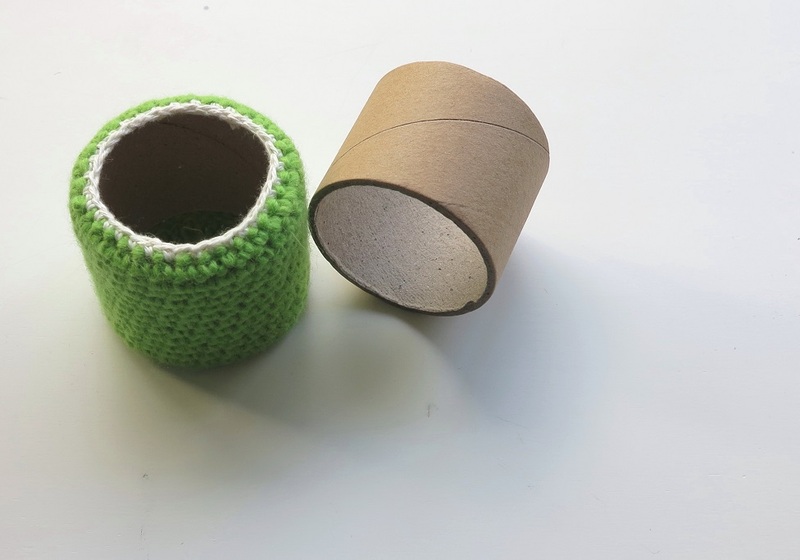 The kiwi cups were born from my hoarding ways… You see I bought a stack of this yarn, and the balls of this particular cotton/bamboo blend came wrapped around these cardboard cylinders. They were too good to throw out, I knew ‘one day’ I would make something of them. The idea came to me as I was tidying up my craft room and I started popping pens in the cardboard containers that were sitting around. I suddenly realised I could make them look a whole lot prettier if I crocheted around them, and If I added a base they would actually be practical. I packed a couple in my luggage along with some random lime green yarn hanging nearby, and somewhere between Lake Taupo and Wellington ‘one day‘ finally came. Remember my kiwi yarn purchase? It started in Napier and was added to in Rotorua. Inspired by the gorgeous colours of the North Island East Coast, I wanted to crochet a big blanket with all the lovely greens, aqua, turquoise and blues I kept seeing in the oceans, bays and beaches. It would be my Kiwi Coast Blanket. And even better, I had the perfect excuse to find yarn shops and buy more yarn. Serendipity! When I got home I realised I also had some colours in my stash from Bendigo Woollen Mills that would really set it off. 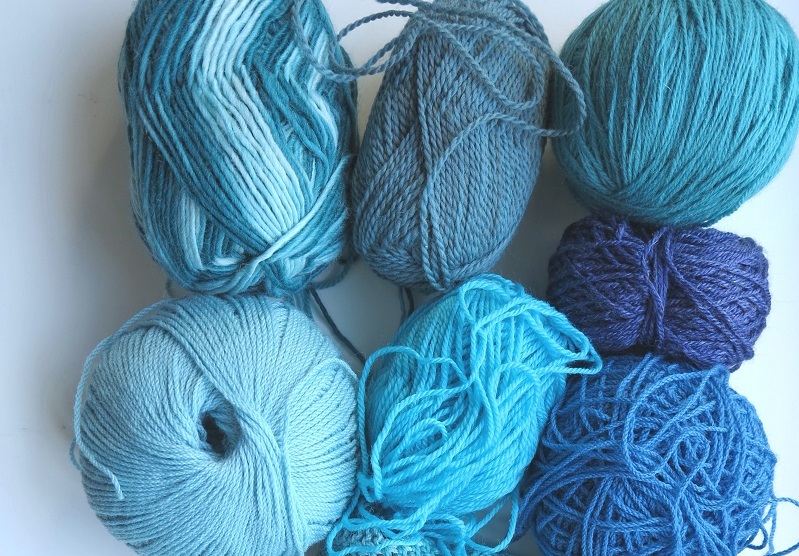 I looked for an inky blue yarn in NZ but luckily I didn’t find any, as I had some already. I just love these colours together and have totally got my crochet mojo on making this blanket. You know, that feeling when you can wait to finish the row just to see how it’s coming along? And it’s a big long row… I want a big blanket… this baby is 242 stitches wide! I’m using this pattern as a guide. 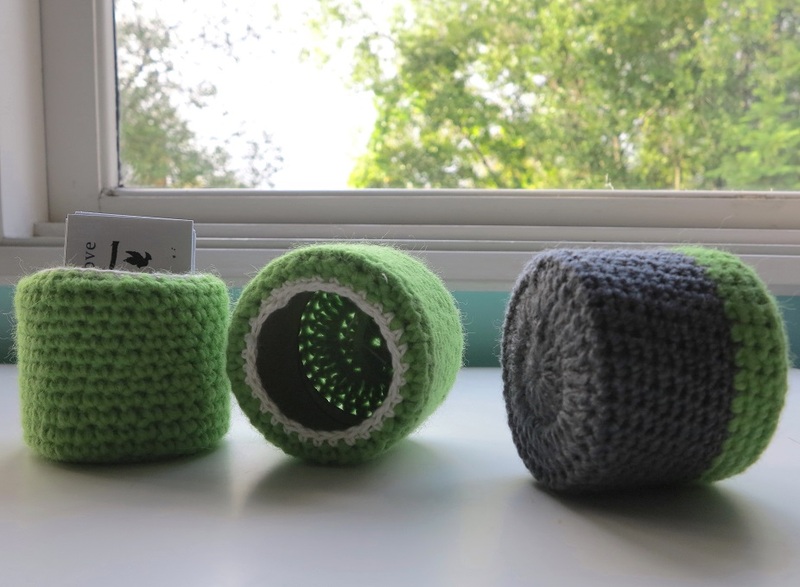 Huge thanks to Hannah from Not your average Crochet, for the fantastic pattern and great tutorial with loads of photos! From what I read Hannah’s pattern is inspired by Little Woolie’s pattern. Jules from Little Woolies has a great link on her blog with lots of pictures and patterns that can be used in a blanket like this. A big thanks to you too Jules! I will be changing colours and stitches in my Kiwi Coast Blanket, but I’m also plan on doing larger blocks of colour with the different stitches to add some subtle texture to the blanket. 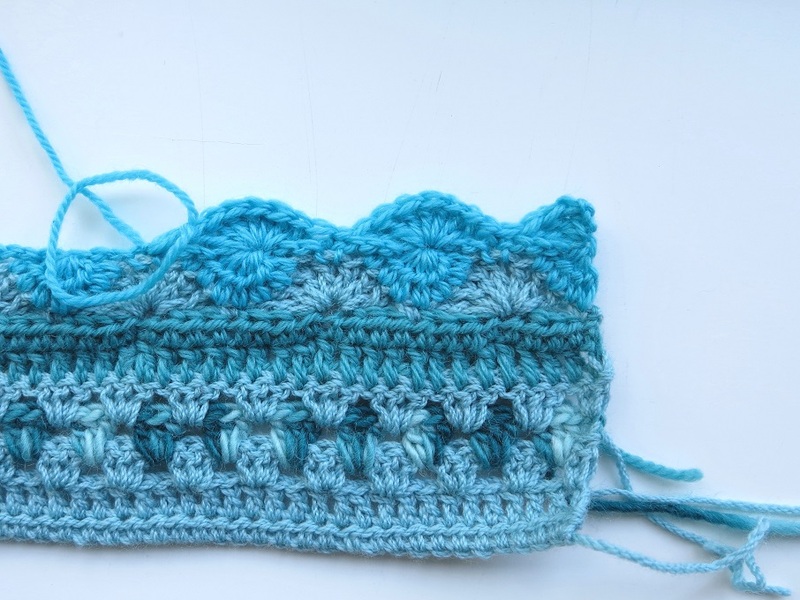 Like the ripples, white caps and waves of the ocean… at least that how it appears in my crochet imagination anyway! 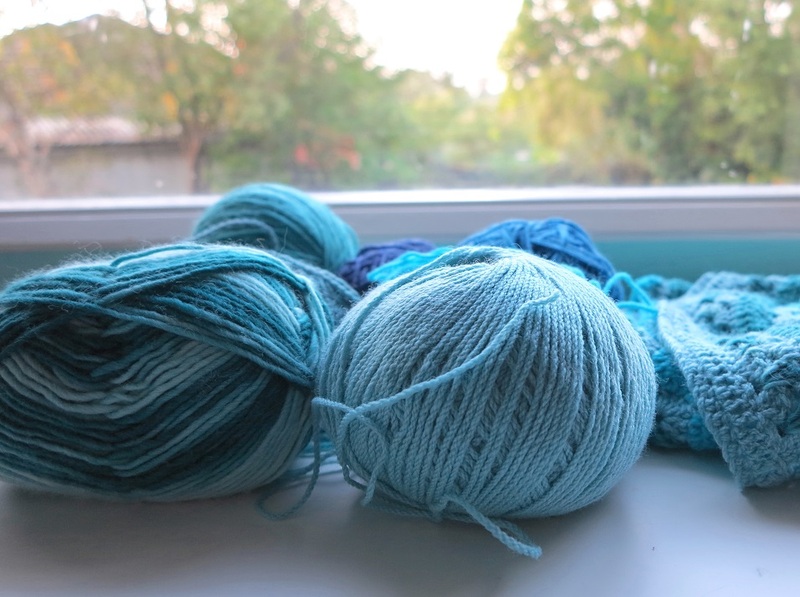 As I’m finishing one row I’m thinking about the next stitch and colour combination… this blanket is going to evolve. I don’t like to plan things too hard or, as you know, stick to a pattern. I’m too fickle, indecisive and disorganised to do that! I’ll either run out of yarn or change my mind before I get the to end of a complete pattern. I LOVE to use a pattern as a guide, but I like to let the blanket and yarn and my mood take me where I feel like I’m meant to go… that’s just the way I crochet. 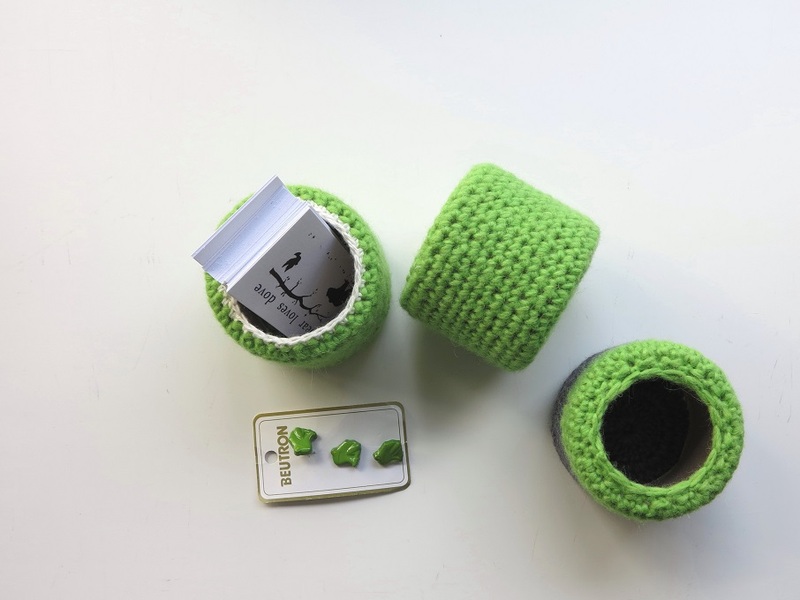 How do you crochet, knit, craft? Do you kinda make it up on the way or do you plan it? Whatever works and gives you your craft mojo is the right way in my books. This entry was posted in craft, crochet, pattern, Photography, travel and tagged 100% pure wool, 100% wool, blanket, crochet, inspiration, pattern, photography, travel. Bookmark the permalink. wow so cute and very beautifully creative! 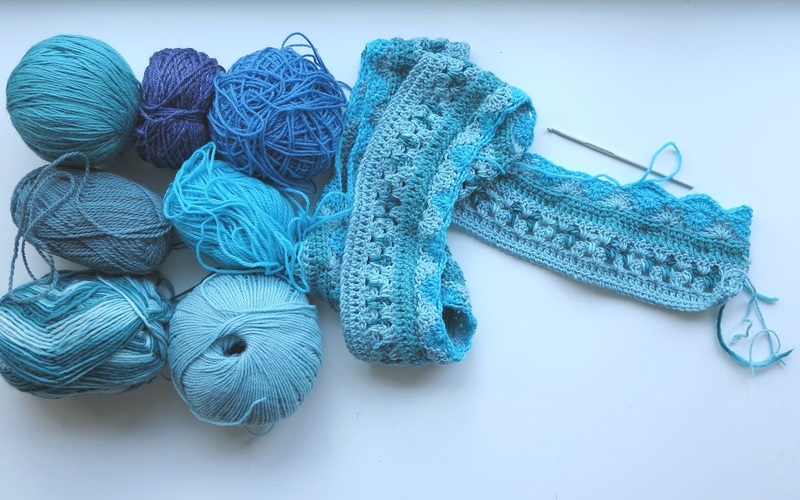 Lovely blues, it’s lovely to see them being used with Hannah’s crochet blanket pattern. Thanks Creative Pixie! How great is Hannah’s pattern!? The Kiwi cups are freaking adorable!